There is no doubt that social media will continue to expand and evolve as we move into 2016. 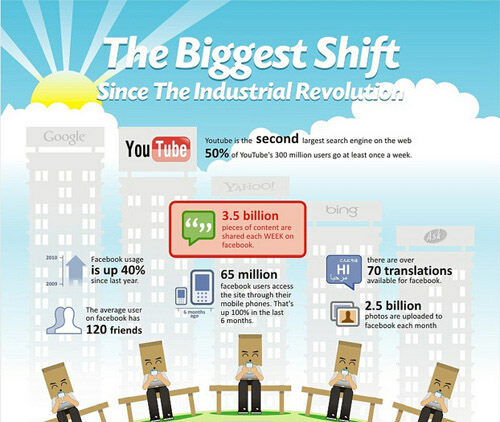 The role of social media has already changed drastically in the past five years. People are not just turning to social media to simply interact with their friends or followers. They are now utilizing social media for much broader reasons such as reading reviews, searching for news and making purchases. Below are a few key trends we can expect to see more of as we approach the new year. The first thing we can expect to see is the rise of “buy buttons.” Basically, when mobile users see a product they are interested in, these “buy buttons” allow consumers to purchase the item with one click and without leaving the app. Facebook and Pinterest have been some of the first platforms to utilize this feature and soon others will follow suit. And Forbes predicts that by the end of 2016, most major social media brands will feature some kind of buy button naturally as an element of their advertising campaigns. 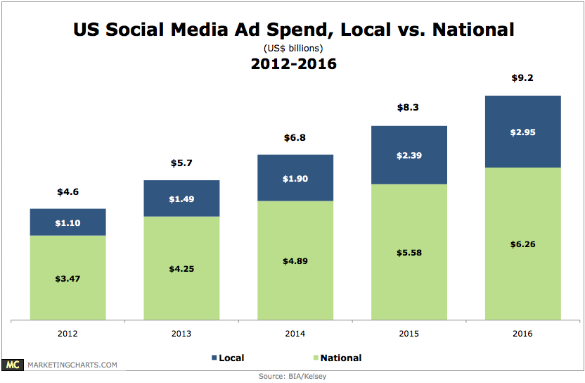 Speaking of advertising, the second trend that will continue to grow is increased ads on various social platforms coupled with more competition for organic visibility. Facebook started this trend earlier this year where they are basically forcing people to buy ads in order to make their content visible to their target audience. As more and more businesses begin to utilize Facebook as part of their overall marketing strategy, this trend will only continue to grow and in turn, advertising rates on sites like Facebook and Twitter will continue to rise over the course of the year as well. Even though social media currently fulfills consumers desire for real-time updates and communication, this trend will only continue to expand in the New Year. New apps like Periscope and Snapchat are taking the market by storm and these types of concepts will become more mainstream. Social platforms will begin to aim to put consumers in the middle of the action whenever possible. However, platforms like Facebook will begin to suffer as a result because they cannot provide the kind of in-the-moment content that apps like Snapchat and Periscope can, and this is something consumers are looking for. Finally, as social media continues to expand in the coming months, there will be an increased concern for user privacy rights as it relates to mobile marketing. Users are often unaware that many retailers have access to their exact location at any given time and utilize that data for advertising purposes. However, this issue has taken the forefront as these social platforms continue to expand their technologies. You can read more about user privacy concerns as it relates to social media and mobile marketing here. I anticipate that social sites and apps will attempt to win over consumers with new protections in the coming year. I am looking forward to experiencing these new technologies unfold next year and it will be interesting to see what other social platforms and/or features will emerge as well. What do you expect to see develop in the social media world as we move into 2016? 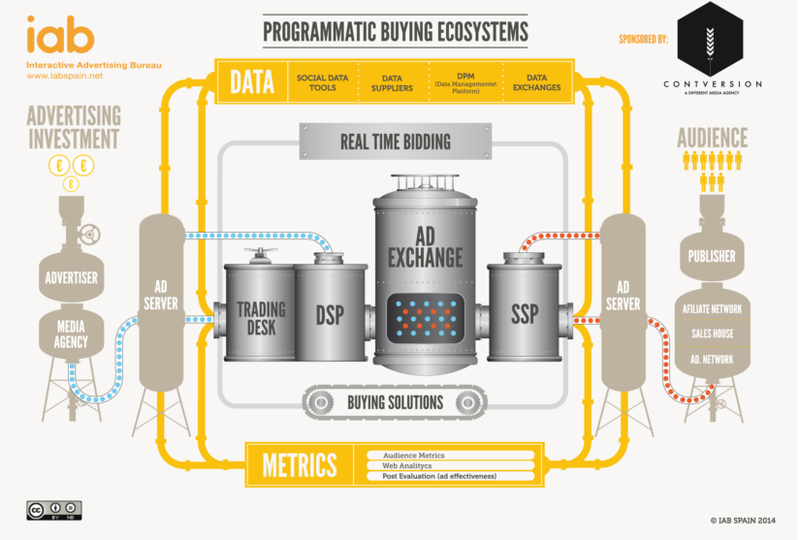 The most basic way to describe programmatic ad buying would be, it is a way for advertisers to place media buys through an automated system instead of doing it manually. Although this concept has been around for some time now, it is commonly misunderstood and underutilized by marketers. Although this strategy has been explored with television advertising and other tactics, it is most commonly used when purchasing online display ads. In the past, advertisers would place an internet ad buy, let the campaign run for a few weeks or months, and then look to optimize it if need be. Programmatic ad buying allows the optimization process to occur in real time, which has been a huge plus for marketers across the board. That being said, many people are still confusing the term, “real time bidding” or “RTB” with programmatic ad buying. 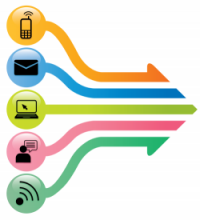 RTB is simply one way to purchase media programmatically. With RTB, advertisers purchase impressions from publishers through an auction-based system. You can read more on that here. Once the target audience is identified by common characteristics such as demographics, geography, interests, behaviors, time of day, weather and device, the online programmatic platform then uses RTB, first and third party data to identify the best digital audience for the campaign. The platform then purchases digital ad inventory through a bidding system. Users are served the ad or ads in places they visit most frequently and across multiple devices. From there, insights are gathered and the campaign is optimized. All in real time. Snapchat grew in popularity over the past 2-3 years and has proven to be the best way to reach 13-34 year olds. However, many brands have yet to integrate this (fairly) new tactic into their marketing strategy. Most of the time, companies think to themselves, “Is this really the best way to reach my target audience?” Which is a great question to ask, of course. What many marketers haven’t realized yet is, Snapchat isn’t just a platform to conduct a few “marketing experiments.” It is a widely used platform that users are excited about because they can view specialized content in real time. You can read more about this marketing trend and consumer behavior here. There are several perks to including Snapchat in your social strategy. I have summarized my top five benefits below. You want Millennials? Snapchat’s got ’em. As I mentioned above, Snapchat is the best way to reach the millennial audience (consumers ages 13-34). The number of daily users is right around 100 million which is still substantially less than Facebook, but this number is only rising and at a fairly steady pace. Since marketers are constantly on the lookout for new ways to reach millennials, this should be their number one, first-step approach to a strategy focused on targeting that particular audience. 2. 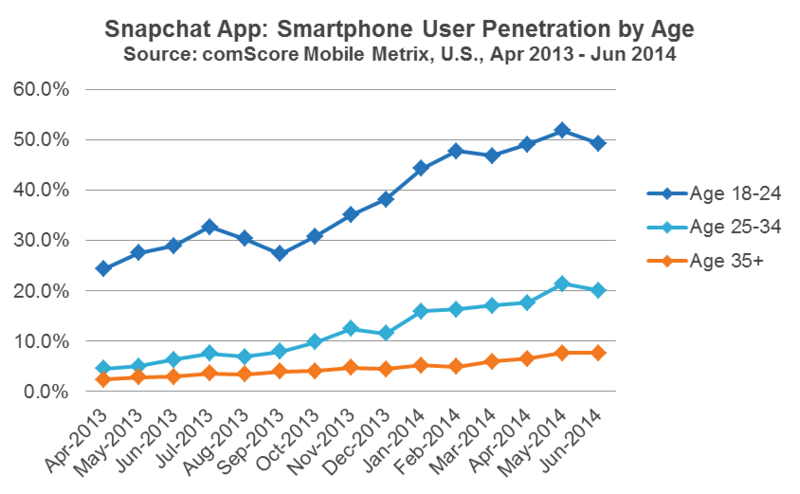 Users are engaged with the content on Snapchat. Several marketers feel as though their video content on Snapchat isn’t as valuable as if it were displayed on other platforms because of the time limit. The content essentially disappears after a user views it. However, this is not the case at all. Users understand that the life of a snap is short and lacks permanence. This fact makes them even more engaged with the content you put out there, which makes your video content stand out from others on YouTube and other social channels that may get lost in the clutter. 3. Real-time marketing is key. Consumers in today’s market, especially millennials, long for content displayed in real time. Brands are constantly searching for the best ways to deliver integrated campaigns that make their customers feel connected. One of the best ways to accomplish this is by offering exclusive content that has an expiration. 4. Provides a behind the scenes look into your business. Snapchat provides a great tool for employees to snap their stories together to create a unique perspective into the company that most consumers long for. Thus, growing the relationships with your customers and improving brand equity. 5. Stand out from other brands. Although companies are quickly catching on to this trend, there are still few that are utilizing this tactic to reach millennial consumers. Grasp the attention of this audience by doing something different and out-of-the-box. Start snapping now to stand out in the ad clutter. In addition to the benefits listed above, Likeable Media posted an excellent Snapchat guide for marketers. Check it out for more in-depth ideas and tips on how to get started. As we know, the media landscape is changing rapidly. Nowadays, consumers are not honed in on one specific medium at a given time. People are on their laptops or tablets while watching TV, on their smartphones while at work and listening to streaming radio content while working out at the gym, etc. This is one reason why it is so important for marketers to utilize a multi-touch approach in their advertising efforts. Because ultimately, people are grazing across multiple platforms on a daily basis and we want to keep our message top of mind and stand out amongst the ad clutter. The Harvard Business Review recently reported that the average consumer goes through at least six channels before they finally make the decision to purchase a product or service, which supports our theory to use a variety of advertising methods to get your point across. This little tidbit is one reason why, globally, there is a 137% increase in multi-channel digital marketing and up to a 500% increase in brands using display, mobile, social and video marketing simultaneously. Below is an excellent infographic that explains this theory very simply, along with a supporting article that I found to be very enlightening as it relates to this particular topic. The key takeaway to keep in mind is, no matter what product you are trying to sell or who you are trying to reach, a multi-touch approach is always best. There is no one-stop-shop, cookie cutter solution to your advertising needs. Get to know your consumer on an intimate level and figure out the best mix of tactics to speak to them. This approach will not only foster an increase in awareness, but will also result in an increase in sales and grow your relationship with your consumers. Is there such a thing as consumer privacy in the digital age? I’m pretty sure we all know that companies are obtaining information about us in order to serve more targeted ads. But are we fully aware of everything they can learn about us through our online activity? According to an article in the Harvard Business Review, only one out of five consumers understand that your location information is given up when you use your smartphone. However, conversely speaking, roughly 97% of people admit to being nervous about the fact that companies are gathering large amounts of data on them. This is a pretty disturbing blend of statistics if you ask me. Most people are aware of companies collecting data about them and express concern over this fact, however, only a small percent of these people actually know the extent of this knowledge that companies possess. Generally speaking, people understand that everything you put out there in the digital world cannot be taken back and is available for the world to see. However, is privacy in the digital age really dead? The good news is, there is hope for the future. Several people are pushing for stronger regulations for companies obtaining personal information without a user’s consent and many states have begun to crack down on this type of activity already. This article from the ACLU explains further. Take a look at the map below to determine whether or not your state is working to protect your privacy. Until we have stricter regulations in place to protect consumer privacy online, I strongly suggest you take care in what you post online as this information is readily available to marketers at the drop of a hat. Before we know it there will be no need to carry that big clunky wallet around. No more cash, debit or credit cards. Companies are making it easier and easier to make a purchase using your mobile device which is very appealing to today’s consumer. Marketers have predicted the mobile payment revolution should have already come this year. But people across each generational cohort are still walking around with their credit cards in hand. However, companies are streamlining their mobile payment processes to make it easier and more appealing to customers. That being said, we should expect to see a major shift in consumer behavior very soon. At this point, we are at a place where people love the idea of mobile payments but aren’t ready to make the jump just yet. 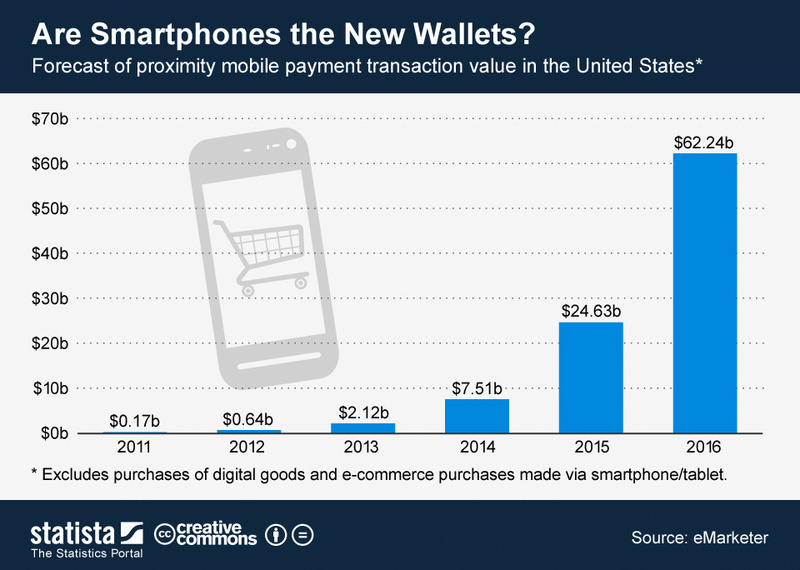 There’s one thing we know for sure… using Smartphones as a form of payment has certainly been on the rise in recent years. Industry experts are predicting that we will spend around $60 billion in mobile payment spend in 2016 which is a huge increase from previous years. The chart below outlines this growth pattern. Aside from the more generic Apple Pay and Google Wallet options, other retailers have been making mobile payments more appealing through providing discounts, freebies and special offers to customers who pay through their mobile app. One company who has emerged as a leader in the mobile payment space is Starbucks. Through offering a rewards program to customers through their mobile app program, more and more customers are beginning to utilize their Smartphones to pay for their favorite handcrafted coffee drinks. Customers no longer have to fumble around in their purses and wallets for loyalty punch cards or gift cards to redeem their discounts and free drinks. This convenience factor coupled with a simple way to earn free treats make this one of the most successful mobile payment apps on the market today. Social media is, quite possibly, the best way to not only gain new customers but grow relationships with your current customer base. With so many different social channels to choose from as well as a plethora of targeting capabilities, brands have the ability to cultivate and grow relationships with customers at the drop of a hat. The below infographic demonstrates how the social landscape has changed in recent years and why social channels have become such an important marketing tactic for all brands. You can find it here. Step 1: Make sure your accounts are up to date. This sounds like an easy task, but this is something that often gets ignored as companies focus too much on responding to customer questions and posting relevant content. However, it is equally important to update your company information, photos, events, etc. as many people will look to your social profile for this information before they seek other channels. Step 2: Communicate with your audience through thought leadership. The last thing people want to see in their newsfeed is an abundance of sales messages. Consumers, particularly Millennials, are attracted to companies who teach, entertain and ignite discussions through regular posts. Brands should use social media as an opportunity to communicate their knowledge in their particular industry, as well as offer up quality discussions that provoke change. Step 3: Respond to customer questions and feedback in a timely manner. This is how brands are able to foster relationships with customers and provides an opportunity for people to connect with the brand on a deeper level. And don’t be afraid of negative feedback! People expect to see a few negative comments here and there. What matters is the way in which you respond to them. Here is a great article from AdWeek that explains how to handle negative comments. Step 4: Create a fun environment where your consumers aren’t afraid to engage with your posts. This is a great way to provide a bit of entertainment to your audience as opposed to the normal thought-provoking, company-focused content you are probably focused on. Utilizing games, contests, images, videos and apps are just some of the ways you can engage your audience in a new and fun way.